Upcoming rappers should pay attention and take note. 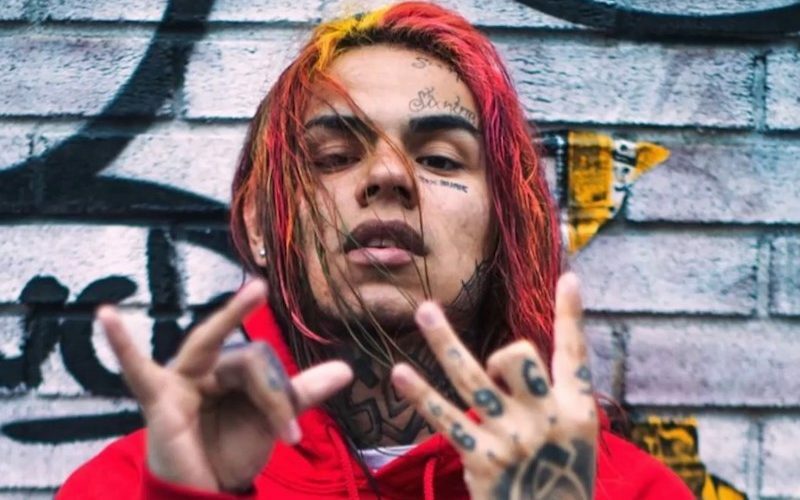 Rapper 6ix9ine, aka Tekashi69, decided that he is a big enough rapper to stage dive and it turns out to be a big mistake. The New York rapper currently has a couple songs bubbling on the Billboard Hot 100 chart and figured its full time his fans treat him with more respect. He decided to prove his point recently at one of his concerts when he ran and dived into the crowd. Unfortunately for 6ix9ine, his fans don’t think he is big enough to crowd surf so everyone quickly got out of the way leaving the hard concrete for him to surf on. Fortunately for him though, there weren’t any broken bones and it seems none of his fans got hurt in the process or else he could risk some more legal troubles. Tekashi69 already has a serious sexual misconduct case in New York pending where he could face years in prison if found guilty. 6ix9ine recently confirmed that he has a new single in the works with Lil Yachty and he is also working on his upcoming debut album. His new single “Kooda” is also doing well among his young fans. Gangsta rapper #tekashi69 thought his career was popping enough to dive in the crowd and crowd surf… unfortunately.. the crowd disagreed and parted like the Red Sea for him to fall to the floor.